Geographically, Key West is little more than a two-by-four mile island tipping the toe of the United States of America into the ocean. Artistically, it has been the inspirational refuge for the creative brilliance of giants from Hemingway to Williams, McGuane to Thompson, with a generous helping of musicians such as Jimmy Buffet on the side. Mr. McKeen is perfectly placed to relay the antics of this decadent decade, not merely because of his academic credentials, but more importantly because of his fine use of the English language. His words would most certainly draw a nod of approval from all those he writes about and clearly admires. Well-crafted observations, such as his description of McGuane’s distinctive writing as being “rock and roll literature . . . each burst of wordplay like a lightening-fast solo on a Gibson Les Paul” are indicative of just how in tune with the era the author is. But it is the words of famous (and infamous) writers like Hunter S. Thompson—“The music business s a cruel and shallow money trench, a long plastic hallway where thieves and pimps run free and good men die like dogs. There’s also a negative side”—that steal the show, as Mr. McKeen clearly intends. 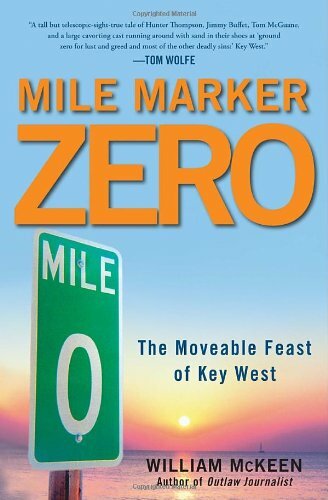 There is a saying that if you remember the sixties, then you weren’t there; in the same vein, this book should be read by not only anyone with even a passing interest in this fascinating period of literary creativity, but also by anyone who actually was in Key West during the seventies—they could probably use a few reminders of just what was buzzing on the island at the time anyway. Viv Young is an accredited British journalist, author, and screenwriter.